With the west coast’s BUILDEX Vancouver now in full swing, next month will see the BUILDEX brand make its way east to Edmonton, where the city’s largest trade show and conference for the construction, renovation, architecture, interior design, and property management industries will take place on March 20 and 21. Part of the Informa Exhibitions family, this year’s BUILDEX Edmonton will be held at the Edmonton Expo Centre at Northlands. Poised to bring together over 2,500 industry professionals, featuring more than 35 credit-approved educational seminars, as well as over 150 exhibits about new, innovative products, materials, technologies and services in over 100 different categories for the entire spectrum of building design, construction, renovation and management. A full program for the two-day event is now available via the official BUILDEX Edmonton website, including a list of sessions and keynote addresses. Over the course of the show, a series of Passive House Canada seminars will also be taking place, all of which have been submitted for educational credits with the Alberta Association of Architects and the Interior Design Continuing Education Council. This year, the central PerformEX Stage is a new feature for BUILDEX Edmonton. Situated at the heart of the trade show floor, the central stage will host a series of technical sessions by industry leaders, all of which are aimed to help “expand your knowledge on building code, renewables, accessibility and barrier free design, in addition to other areas impacting the way we design, construct, and manage our provinces buildings,” the website explains. A full list of exhibitors is also now available online, along with a floorplan for the show. 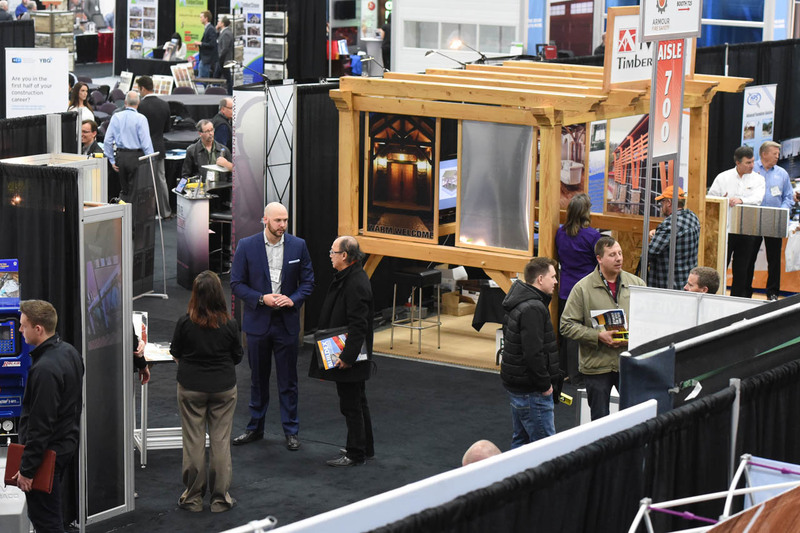 March’s two-day BUILDEX Edmonton trade show will be followed by BUILDEX Calgary, which will take place in November. Regsitration for BUILDEX Edmonton is now open, and more information can be found via the event’s official website, linked here.